As I expected, nobody offered any suggestions or advice. Then again, nobody reads this blog anyway. Maybe I should give it more time, but I hit upon a stupid idea today. I'm thinking of buying the Cadian Defence Force. That's the model set's name, but obviously I'll paint them all black and turn them into the Draconian Defence Force. Fluff and all that. Then I'll finish the force off by purchasing a separate Leman Russ Battle Tank and Chimera. The reason why I'm doing this is because I was thinking of going a mixture of mech and blob. Getting an infantry platoon might actually boost my chances of not getting tabled than if I merely plonked five to seven tanks on the table and hope for a miracle. So I thought, why not get an infantry blob to screen and shield my vulnerable (ironically) tanks? 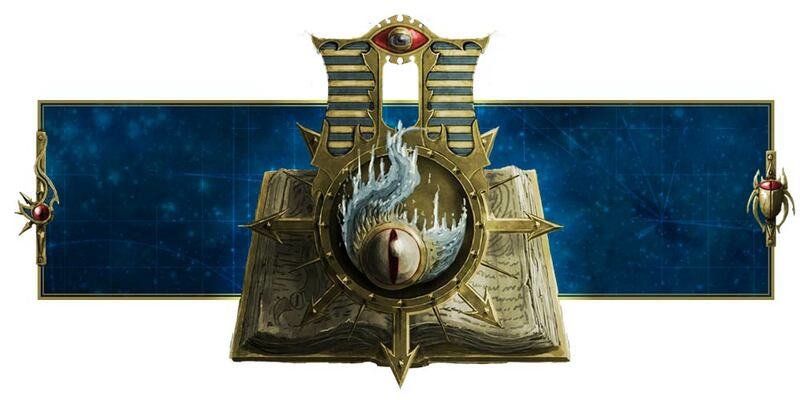 Throw in a Primaris Psyker, give the platoon command squad and the 30-men strong combined squads a vox-caster, cast Prescience on the entire unit, issue the "First row fire, second row fire" order (yay, leadership re-rolls if I fail the first time) and watch as 27 lasgun shots turn into 54. And if they're within 12 inches, I get 81 shots. The look on my opponent's face when I pick up that many dice and roll them will be hilarious. Not only that, with Prescience (unless my opponent successfully denies the witch), a good 75% of those shots should theoretically hit. Even a squad of 10 Terminators will cry when they have to make that many saves. Except that stupid S3 lasguns only wound on 5s against T4 Terminators. DAMN IT!!!! It also gives me the Leman Russ Battle Tank I need, though I'll have to purchase a second one for my Tank Commander in a Leman Russ Vanquisher. That's not so bad, considering the good deal I've gotten out of this list. Furthermore, I get a Chimera for my platoon command squad if I'm running a Doomhammer list, and 3 heavy weapons teams, which I need for my Doomhammer passenger detachment! Firing 3 lascannons and 7 plasma guns out of its fire point while the passengers are being protected by AV14, that's just awesome. I even have variations where I use a Stormsword or Shadowsword instead, in which case I need to get a 2nd Chimera for both my Company command squad and Veterans. These lists are the one where I can have 3 infantry squads (I need 2 Veteran squads for my Doomhammer, so I only have 2 infantry squads left). Alternatively I can trade my Primaris Psyker for an Aegis Defence Line or a Void Shield Generator (going to need suggestions and advice here) to give my infantry cover or protection. I'm not sure which is better, but it seems giving them cover is better than having 1 or 2 AV12 walls that would be punctured sooner or later. Or I could just go with the Primaris Psyker and have my 30-men blob of infantry march up the table grimly with their 27 lasguns, with the platoon command squad following closely behind to issue orders. Then the alternative is my mech list where I field 2 Leman Russ Executioner Tanks, a Leman Russ Vanquisher Tank with Tank Commander, a Leman Russ Battle Tank, 2 Veteran squads in Chimera APCs equipped with special weapons, 2 Vendetta Gunships, 3 Wyvern Suppression Tanks, and either a Knight Crusader or a super-heavy tank - the Stormsword or Shadowsword. I don't know if it's as viable as running a mixed list, I mean, look! It's all vehicles! Armored vehicles and tanks, plus a super-heavy walker if I'm inclined. I'm tempted to go this way, but as I said, I don't know if it's balanced and if I'll get utterly destroyed. I'll ask for advice at Battle Bunker, but I'll really appreciate advice from people online as well. Do you guys think it's better to get the Cadian Defence Force and play mixed infantry-armor, or better to go pure armor?